Kansas City, Mo. — Missouri Southern head distance coach Jamie Burnham has been named the MIAA Men’s Cross Country Coach of the Year, the league announced today. 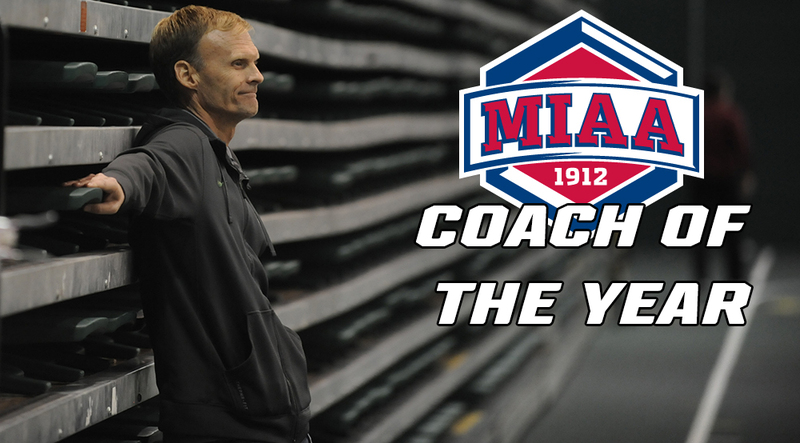 Burnham, in his first year as head distance coach of both programs, wins his first MIAA Coach of the Year award. While on staff at MSSU the Lions have won or shared 10 MIAA Men’s Cross Country titles and seven on the women’s side. Southern has won all but one meet it has entered this year, and sophomore Vincent Kiprop, the 2016 MIAA Champion, has won every meet he’s ran in. The Kericho, Kenya native also set a new 8k Chile Pepper Invitational record as he won that meet, out distancing a pair of SEC runners from Arkansas by more than 30 seconds. He has been the MIAA Runner of the Week every week he has ran in and is the top ranked runner in Division II this year. Southern is ranked 12th nationally and No. 2 in the NCAA Central Region Poll heading into the meet on November 5.